In the first edition of the Goodfellow Brand Review, I check out the bold and brilliant Atom beers. 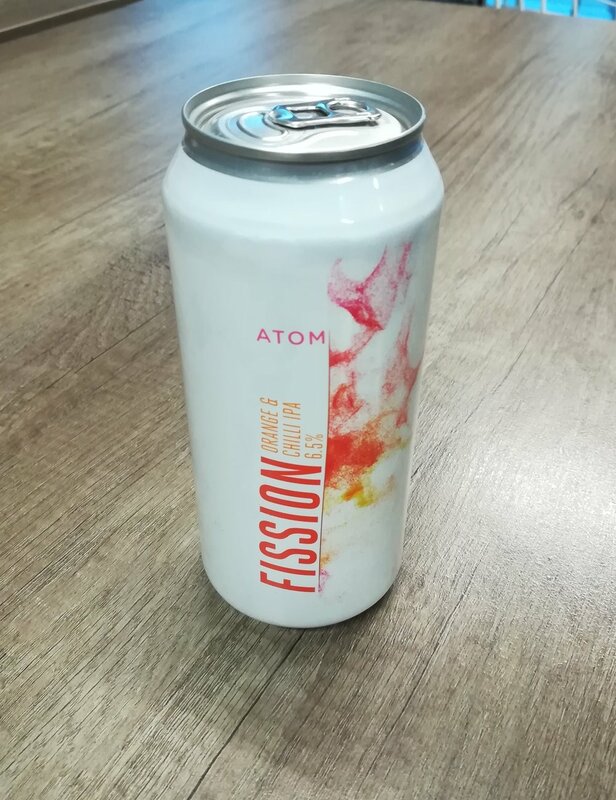 ATOM, a Hull based brewery, have succeeded in creating a brand which stands out in an increasingly crowded craft beer market and also sticks to a unique formula and vision that unites their products. Science and experimentation are key to their offering, meaning their beers often make for an intriguing drinking experience. It’s also a USP which has helped them to become one of the most exciting breweries in the region. Craft beer has seen a huge rise in popularity in recent years and a large section of its audience are design conscious millennials. Whilst taste and quality are hugely important and ultimately ensure a company’s longevity, it is the packaging and marketing that get them noticed and remembered. This has undoubtedly helped craft beer titans, Brewdog, become a household name in bars, pubs and supermarkets up and down the country. Being widely recognised however can mean the loss of a certain creative innocence and youthful spark that makes a brand like ATOM so appealing. ATOM’s achievements however are not simply about the design being good. It is the convergence of design, product and ethos which gives them that edge. Each ATOM beer is named after a particular scientific concept, theory or phenomenon. They have released such attention-grabbing titles as ‘Schrodinger’s Cat’, ‘Catalyst’ and ‘Neutron Star’. These titles beg the question, what makes these beers unique? ‘Spectrum’ suggests a broad and exciting flavour. ‘Catalyst’ evokes the feeling of a chemical reaction happening in your mouth. The bold, eye-catching can, bottle and pump clip designs, many of which are produced by Yorkshire graphic designer Gavin Appleby, also add to the theme of each beer. Many like ‘Litmus’, below, depict the thing which the name references. The brewery brings out new beers all the time, each with a new experimental process or ingredient behind them. You definitely get the sense that these guys are having loads of fun doing what they do. Recently launched ‘Neutron Star’ is a 12% barrel-aged stout which not only sounds delicious but is presented in these gorgeous bottles with a minimalist premium design. The process of creating this beer is echoed in its name. A neutron star is formed from the remnants of a collapsed or dying star and as such has a small radius (for a star!) and is incredibly dense. Similarly, this beer has been created through an aging process, reusing old tools and is delivered to you as a dense, powerful and unforgettable experience. The science of beer making is also pivotal to their brand. There is a certain transparency to the brewing process and an acknowledgment that you are not just drinking a mass-produced chemical concoction. Time, effort and a unique recipe have come together to craft what you are drinking and ATOM don’t shy away from this. They embrace it. Their brewery tours are informative and they’re keen to educate the next generation through the brewing process. This has been a key part of their vision from the beginning and they have a number of stories of young people who have been inspired to try a career in brewing or simply view the subject of science in a new light. So, the branding is a success; the question is, what do they taste like? The only way to find out is to grab yourself a can, bottle or pint of one of their beers wherever you can find one. They’re popping up all over the country now. Fortunately, in Hull, they’re everywhere and their own bar, Atom Brewing Co. has them on constant rotation.